Looking for a night of Holiday cheers and jeers? 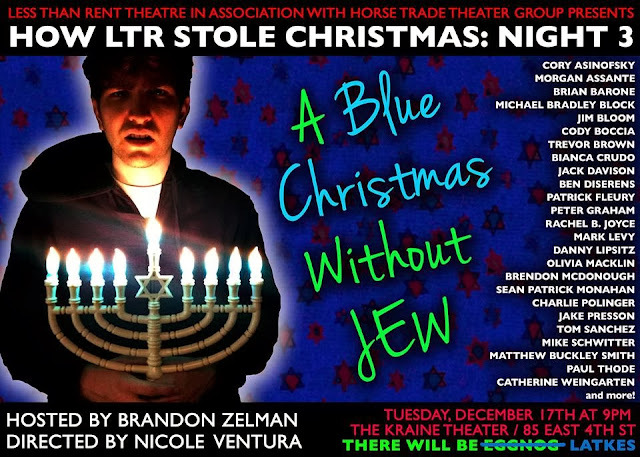 Check out the third installment of How LTR Stole Christmas, an evening of music and sketches about everyone's favorite Holiday featuring an All-Star cast of performers and writers and created by one of Indie Theater Now's People of the Year 2013! I even have a naughty Christmas sketch to share! For tickets, click here.